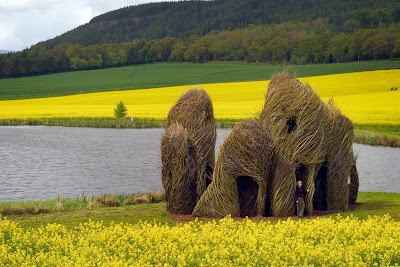 If I was a hobbit, or a character from a fairy tale, I could very will picture myself in the homey structures designed by Patrick Dougherty. His creations call forth visions of a simpler world in keeping with nature and the whimsy of life. 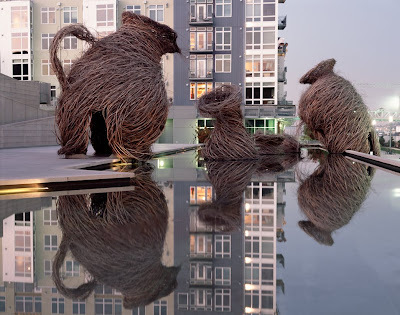 Each installation seems to fit in perfectly with its surroundings. Growing up in the woods of North Carolina, Patrick Dougherty developed a fascination with the beauty of bare winter branches from stripped down trees. 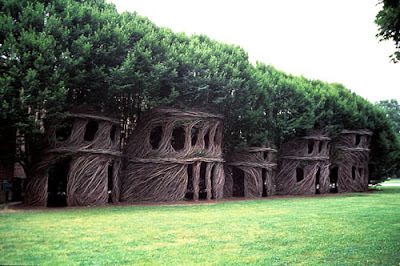 Combining his carpentry skills with his love for nature, Dougherty began to learn more about primitive techniques of building and to experiment with tree saplings as construction material. 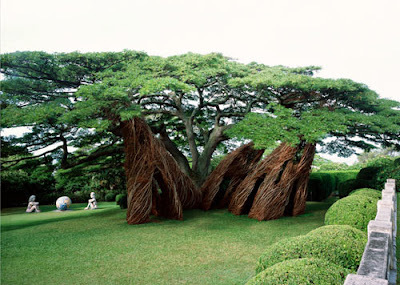 He praises the sapling as available, renewable and well adapted to weaving into sculpture. 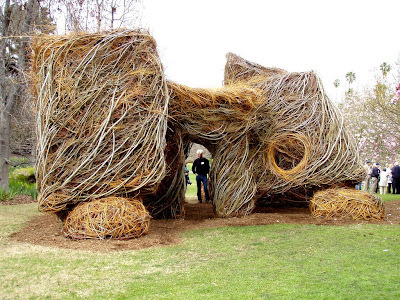 Dougherty's large abstract sculptures are intended to respect nature and add to the natural surroundings. He has created over 160 works during his career as a sculptor.